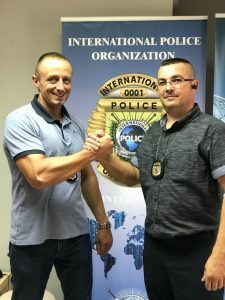 Today we held a working meeting of the President of the International Police Organization Ilija Životić, representative of IPO in Serbia Mr. Stevan Djokic who is the founder of the Center for Security DBA and representative IPO in Romania Mr. Cristian Băluță who is in Romania known as a great fighter against drugs and corruption and founder of the Association A.C.O.C.A. Mr. Cristian Băluță reported leadership IPO on further steps to develop cooperation and joint activities in Romania. Special attention is given to new drugs that have occurred in Romania, their activities and opportunities for prevention. Adopted a decision on the necessity of establishing educational centers were we will set workshops, traditional lectures about drugs and education from renowned psychologist. 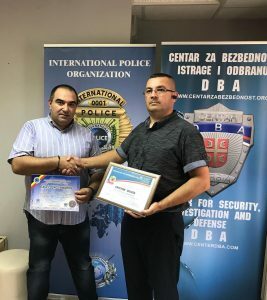 Also, our partner organization in Serbia, Center for security DBA and Romania A.C.O.C.A. have agreed serious cooperation and exchange of information through the IPO. 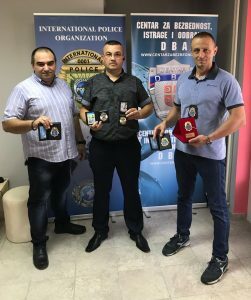 The aim of these organizations and organizations IPO is the prevention of all types of crime, and in particular the protection of young people from the harmful effects of drugs. At the end of the meeting President of the Association Against Organized Crime and Drug Counseling A.C.O.C.A. 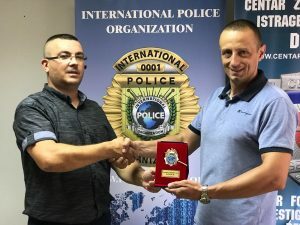 – Mr. Cristian Băluță handed President IPO plaque as a sign of support and gratitude for the work on the unification of the various organizations involved in the prevention of crime.